Want to make a striking first impression when showing your home? Make sure your home has a pivot front door to attract the attention of anyone who comes near. Want to make a bigger first impression? 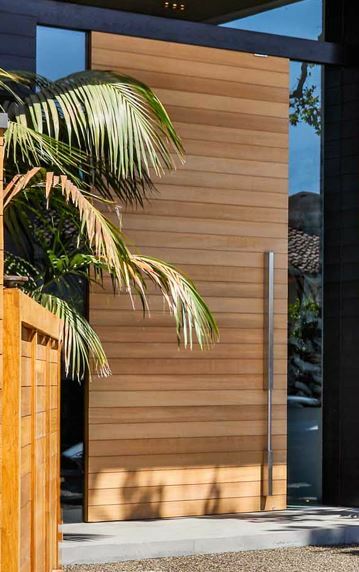 Feature a custom oversized large pivot front door that’ll stop any first time visitor in their tracks as they take a double-take. 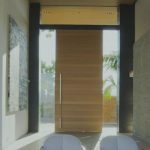 From modern architects designing new, impressively unique cutting edge designs to high end house flipping, a large pivot front door feature is the answer for making a huge initial impact and adding value and curb appeal to your project. 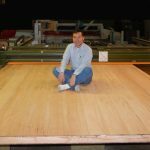 But before you specify a pivot front door for your project, there are some things you should know before you proceed, especially if you’re considering a large pivot front door. 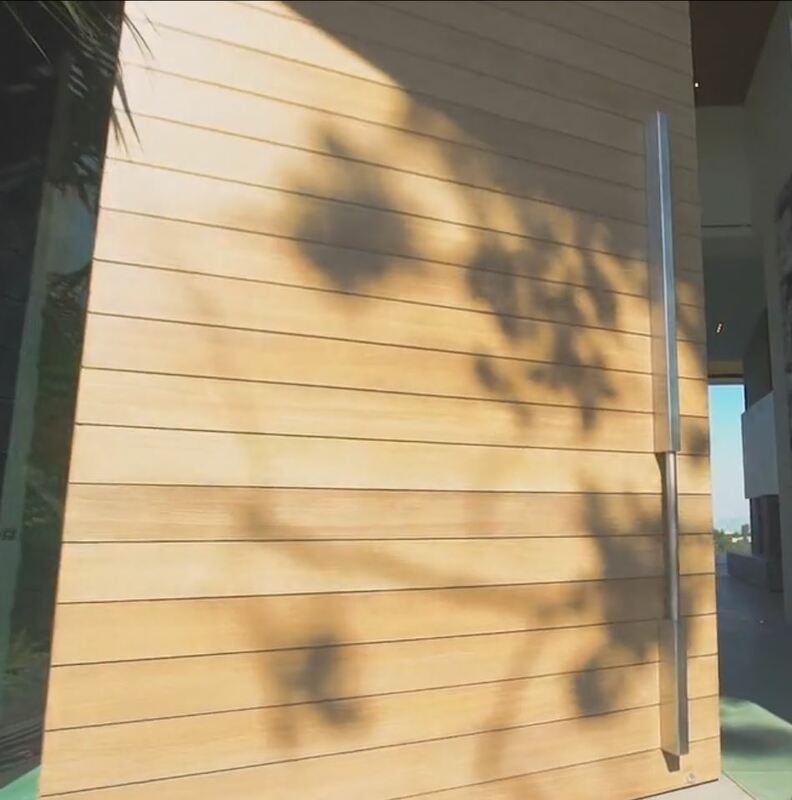 The reason pivot front doors warp is due to the environmental conditions on either side of the door. 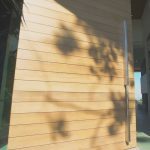 If there exists two separate climate conditions, one on the interior of the building or house, and an altogether different condition on the exterior, the door will move, bend, twist or cup according to the opposing conditions. 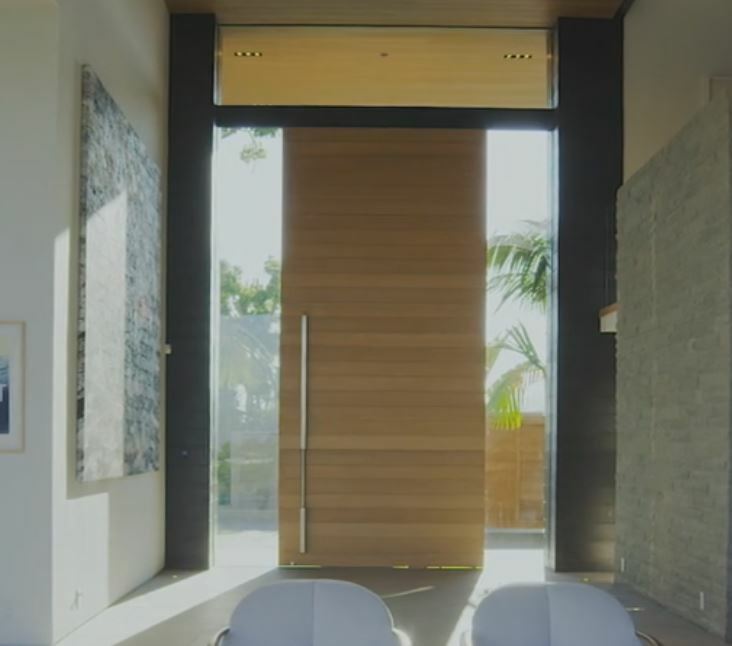 To mitigate the damages of pivot front door warp potential, the designers may opt for very heavy metal materials, like steel, being used inside the door in an effort to keep the pivot front door straight. If you’re building a large pivot front door with heavy metal inside, the end result is a door that will resist warping in a front door application, but heavy pivot doors require heavy duty pivoting door hardware, which often exceeds the cost of the pivot door itself. And heavy duty pivot door hardware is just the beginning. Because the door is so heavy, using the door, opening and closing it for access to the building our house on a regular basis causes extra stress and strain on the hardware, the frame and the supporting structure of the heavy pivot front door, increasing maintenance costs over time. Also, the heavier the door, the greater risk of injury when opening or closing the pivot front door. Unfortunately, injuries can be suffered, including the loss of a finger or limb if caught in the door when articulation is taking place. 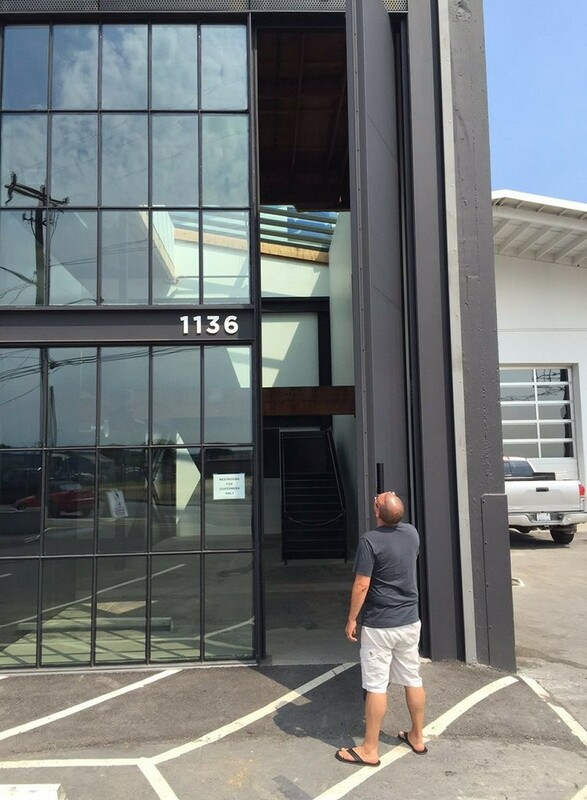 That’s where Pivot Door Inc. comes in. 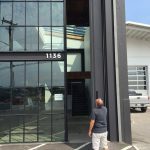 We specialize in helping door companies and millworks design the best insulated lightweight pivot front doors that offer sound dampening and climate control characteristics for increased safety and security and can also be guaranteed not to warp, bend twist or otherwise fail for 50 years. 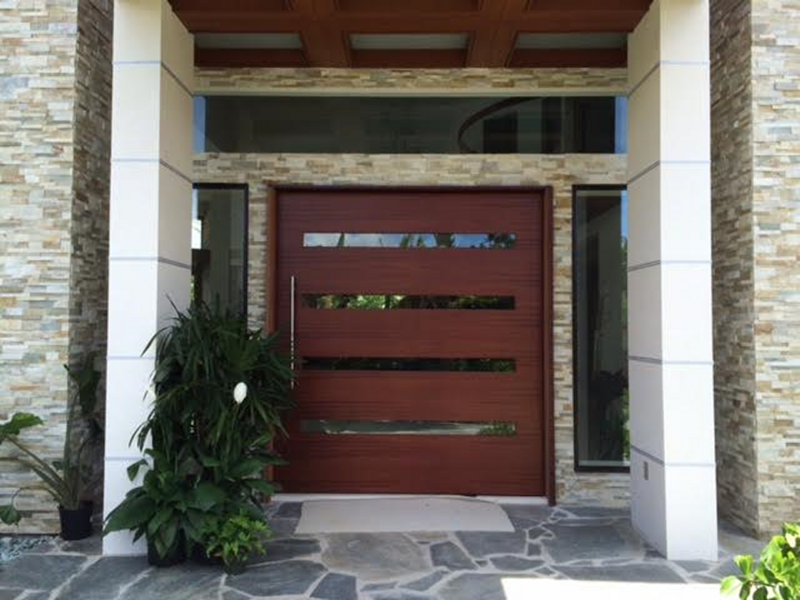 We specialize in solving the problems associated with large pivot front doors, starting with the weight of the door. Every one of our solid core pivot front doors is a one-of-a-kind individual work of art that weighs a fraction of other solid core pivot front doors. The secret is found inside the core itself. We feature a patented hybrid composite core material inside each pivot front door that allows us to create lightweight high strength, warp-free doors of any size. 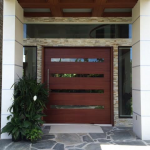 Our lightweight pivot front door specialists help to design a custom pivoting front door that is perfectly matched for its intended use and purposes. 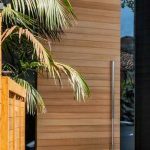 Many details are taken into consideration, like the appearance, design, exterior door materials (skins), geography, climate conditions and the direction the exterior surface faces (North, South, East or West), usage and position of the pivot in the door. All this is calculated into the custom design of the pivot front door for high performance over time. Our pivot front door is the only large door that can be guaranteed not to warp, bend, twist or otherwise fail – including full structure warranty – for 50 years. Many of the door companies and millworks can now offer a warranty on their work and materials, including the large pivot front doors, thanks to our 50 year large pivot front door guarantee. Therefore, if the rest of the project is guaranteed for 10 years, offering a ten year warranty on the otherwise excluded pivot front door is no problem.